December is a great month to reflect back, take stock, and set intentions for your health and fitness goals so I have a question for you, “do you give to your body and recharge or infuse it with energy as much as you demand from it?” If you answered yes to that, well congratulations to you for excelling at self-care and if you had to admittedly answer no then you would fall into the majority of how most people answer that question. Unfortunately, most of us place great demands on our bodies without ever a thought of giving back to it as much as we take. In fact, many a time as a personal trainer the clients I serve come to me at the very point they have neglected the needs of their health or body and pushed it past its limit. It takes a wake up call or a break down for a breakthrough of optimal health to occur. and energized for your life! You can lead your health and wellness to peak energy and performance. As a certified personal trainer with a background in Kinesiology, you could say I have gained extensive knowledge about the human body and how to assist it to perform at its best. However, contrary to societal stereotypes of health being solely through a body focused approach, what I have learned is that peak health, energy, and fitness extends way beyond the physical body. Achieving optimal health requires an integrated approach beyond the body, including your life, your emotions, your thoughts, and the environment in which you operate daily. These are the elements of what I refer to as Peak Energy4 Performance that when optimized together drastically alter your health, energy, happiness, and performance. Let’s take a busy working professional who gets up at 5:00 am to ensure they get their workout in and then goes on to work a 12 hour stressful day and runs around after work for the family going to bed late to repeat it all over again. Their body may be fit, but their life is stressful in a high pressure environment, they have lack of sleep, and because they feel drained, a lot of negative emotions are surfacing daily. As you can see this person is expending way more energy out than they are replenishing. Alright get your pens, comfy stretch clothes on, sticky notes, and schedule out because we are going to put a plan of action together for your health, fitness, and well being goals in 2019! Now you have a benchmark and visual representation of where you are currently at with your health, fitness, well being and energy. Circle or star the areas you want to improve upon or where you feel will give you the greatest impact in your health and well being. Step 2: Your health and well being embodies four areas to perform at your peak: body, mind, emotions, and environment. Identify what you need in each of these categories to energize and elevate for optimal health by writing it down. Are there daily or weekly practices that will help you cement the new behavior into a habit? Step 3: Review your answers to the first two steps above. Is there a pattern or an area that could drastically improve your health, well being, and energy? If you had to focus on one factor you have rated above that would make a profound effect in your health and life for 2019, what would it be? What is an action step you can take right now towards it? As you can see your best health is comprised of many factors that affect it which exist both externally in our lives and also internally within our being. The energy of your body, thoughts, emotions, and environment affects every cell in your body. We cannot only demand high outputs of energy from our body without replenishing it with energy input. An energy input can be rest, a walk in nature, a Pilates class, a counselling session, a mindfulness practice, improving your workplace environment, or exercising to boost fitness and mood. The faster the world gets, the more technology advances, and the higher the cost of living, the more our energy stores get depleted in all of the following areas: physical, mental, emotional, and environmental. Our first line of defense is awareness to these demands and the toll they take on us. The second line of defense is what we, you do about it. A lot of people sacrifice self care for work or to give to others thinking they will get more done or worse yet, they see it as selfish. The irony is self care makes you able to give more and perform better not to mention feel better too! Self leadership is the strongest determinant to reaching your health goals for 2019. It is also the hardest element to implement. You influence your outcomes with the ability to consciously affect your thoughts, emotions, behavior. Set yourself up for success by knowing what your body, health, and energy needs are with a daily plan of self care so you can perform at your peak. Jody Kennett has been a personal trainer serving North and West Vancouver for 20 years now. 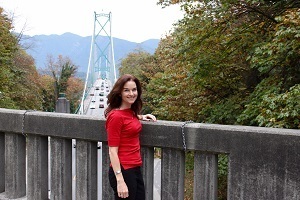 She is an ACE Medical Exercise Specialist with a diploma in Kinesiology from SFU. As additional growth from training people physically for years, she has ventured into a variety of coaching certifications and disciplines including: GAIA Leadership Coach, C-IQ Certified Coach in the neuroscience of communication, and business coaching. Combining her two areas of expertise health and business, she developed and founded Peak Energy4 Performance which focuses on energy input rather than output and specific energy sources that will positively impact performance for health, business, and life. It is a methodology that elevates and energizes one’s being in a world that demands doing; it is also a holistic approach that includes four aspects of our energy including body, mind, emotions, and environment. You can follow the podcast to learn more about it and be energized or visit her website. Peak Energy4 Performance Assessment, Coaching, and Action Plan 50% off until January 31st, 2019! Energize your health, business, and life with personalized Peak Energy coaching to set you up for success. Reach out for a complimentary Peak Energy consult.